home of the MacKinnon-Cann Inn. Our location is perfect for the adventuresome traveler, as we are located within a 2 hour drive to all points of interest on the South Western Shore and Annapolis Valley. 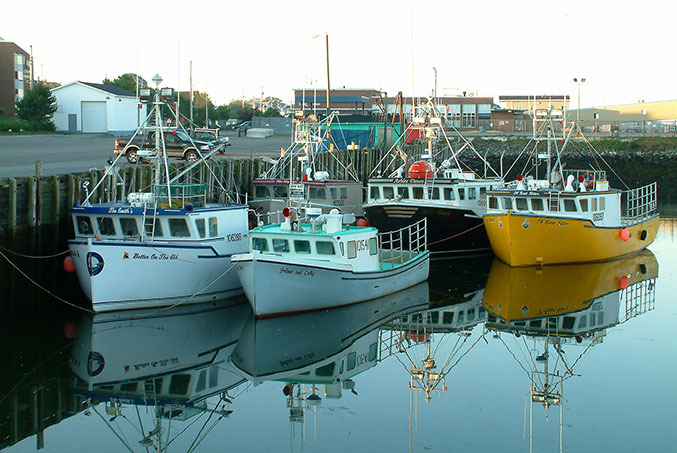 Many of our guests position themselves in Yarmouth, the 3rd largest township in the Province and embark on day excursions exploring the rugged coastline, quaint seaport villages and local attractions ending their days back in Yarmouth to enjoy our fine restaurants, and evening attractions. Unlike other small Nova Scotia town’s void of evening entertainment, Yarmouth is a cultural hub, a year round working township of 7,000 residents, adding the surrounding communities 34,000. Nova Scotia is larger than one may think. After spending a long day touring our beautiful coastal roads and quaint villages, Yarmouth is a short distance back along Routes 101 and 103. Returning you will be greeted with a warm welcoming feeling. Relax in your whirlpool spa, have a cocktail in our beautiful Victorian courtyard and dine in our local restaurants our community offers. Stroll our tree lined historic neighbourhoods or venture to our waterfront which is always a bustle of outdoor day and evening activities. To give you, our guest, a prospective of the size of Nova Scotia and its population demographics we have created this example. Nova Scotia is the size of the state of Florida including the Florida Keys (560 miles); we have 4600 miles of coastline and a population of 950,000 people. 500,000 live in the greater Halifax metro area leaving the remaining 450,000 scattered along 4600 miles of shoreline. Yarmouth is the third largest township preceded only by Truro and Sidney Cape Breton. When planning your trip considers the demographics of the areas you wish to visit and that locations ability to meet your expectations. During most days you will encounter dramatic views, quaint villages, antique shops, art galleries and of course local cuisine and small town hospitality. Realize that although many of our communities are a buzz when the sun is up, evenings are very different and you may find yourselves without accommodations or a fine dinner and entertainment. For that reason we recommend that you base yourselves in a central location and venture on day excursions assuring a well rounded day and evening experience.